A place where Megan can showcase her projects. 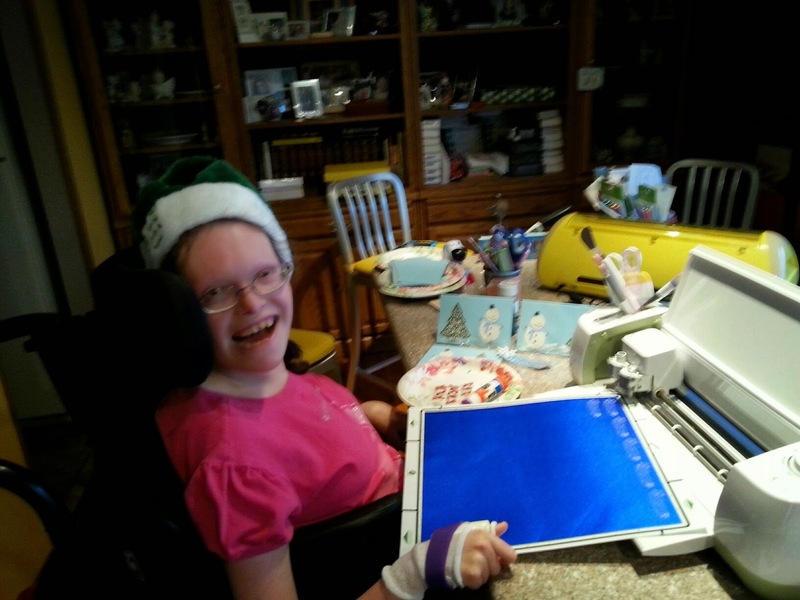 Megan is enjoying making Christmas cards with the Explore this year. Considering that she is only 5 weeks post op with the right hand, she really is an amazing kid. She loves making cards with lots of details- and if some pieces are too tiny for her to glue, she has no problem having me assist her with a toothpick and Elmer's glue. Every card is literally filled with love. It is all about the fun.